LEOPARD and LINA line arrays utilized for production of Stephen Sondheim’s Follies to remain as permanent house system. 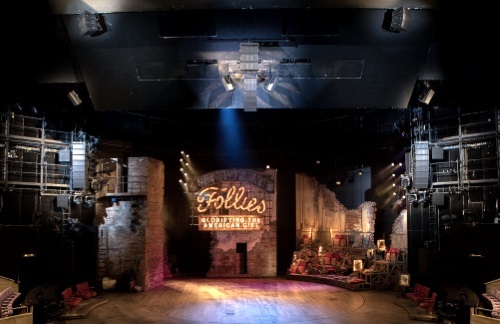 The 2017 production of Stephen Sondheim’s Follies was a complete sellout for the Olivier Theatre — the largest stage of London’s National Theatre complex. 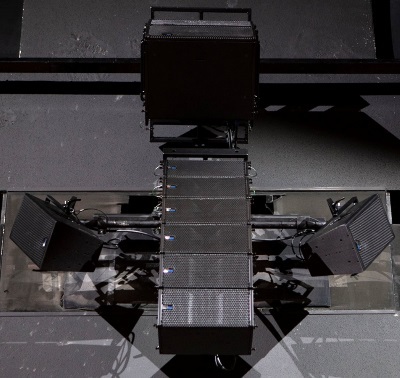 The production has been revived for 2019, and returning along with it are Meyer Sound’s LEOPARD and LINA line array loudspeakers augmented by more than 25 additional fill and delay loudspeakers. As part of a unique sonic collaboration between Meyer Sound and the National Theatre, the entire system will remain as the permanent house system after the scheduled close of Follies in May. 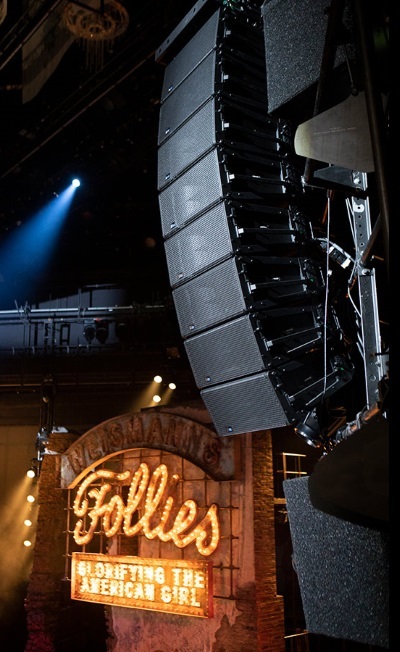 For the first Follies system, sound designer Paul Groothuis sought a solution that would extend beyond the capabilities of the former house system to deliver clarity for dialogue as well as musical impact. His eventual design was anchored by left and right arrays of eight each LEOPARD line array loudspeakers plus a split center cluster with three LEOPARD loudspeakers for the longer throw and six LINA line array loudspeakers for closer orchestra seating. Located on London’s South Bank, the National Theatre sold 3.3 million tickets during its 2017-18 season for productions in the London theatres as well as ten touring productions and NT Live broadcasts to more than 65 countries.